Are you looking for a long-lasting relationship? If so, eHarmony is a great site to consider! eHarmony is one of the Best Dating Sites in Canada. 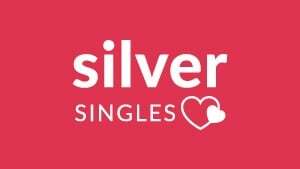 Its goal is to help singles to find the perfect match and bring harmony to their love life. The dating portal was launched in the United States in 2000, but soon became successful in other countries, including Canada. Currently, 4 million singles in Canada have tried its services, and 1.9 million matches are generated on a daily basis. The main reason behind the success comes from its exclusive algorithm to create meaningful and fulfilling relationships. eHarmony connects singles considering key personality dimensions that are essential when building a serious partnership. A dating guide to eHarmony: What information can you find in this review? There are dozens of websites for singles in Canada, but how to know if eHarmony is the best dating site for you? In our eHarmony Review, you will find the essentials: from how to register for free to how make your online dating experience a success. You will find the benefits, and the flaws to help you deciding if it is the service ticking all the options from your list. How to register for free and get started in eHarmony? How to delete your profile in eHarmony? How to cancel your Premium subscription? In order to use eHarmony’s advanced matchmaking tools, you will have to register on the website and complete the Relationship Questionnaire. Then, simply create a captivating profile, and start contacting singles in your city! The process is a bit tedious at the beginning, but after a while it’s worth it. Here is how to use the site in 5 simple steps. The form to join the site is very short. The reason why it’s because then you have to spend a few minutes filling the questionnaire and setting up your profile. In this registration form, you just need to add your username, your location and say who you are, and what kind of partner you are looking for. The questionnaire investigates your romantic profile. It is based in a scientific test that measures aspects of your personality and several dimensions of compatibility. During the process, you are asked about how you react in daily events and specific situations involving others. eHarmony’s Compatibility Matchmaking System explores several fields like your interests, your location, your education and professional background as well as your emotions. The idea is to get an estimated idea about how you are and then connect you with potential matches. Allow yourself some time to fully answer the questions. Be sincere as your results will be used to match you with the most compatible profiles. The objective here is to know who you truly are, what your values are and what you are looking for in a partner. Here is an example of a question: “Rate the following statements: I catch on to things quickly, I make others feel good, I usually stand up for myself…” You will also have to choose among many adjectives the ones that describe you best: optimistic, ambitious, passionate, introverted, dominant, intelligent and so on. You will provide a lot of information during the personality test, but you profile in eHarmony is like an overview about who you are. You can add some interests, be specific about your habits, and include a few photos to make it more visually attractive. There are two ways to find potential matches in eHarmony Canada. You can use the search tool and add some filters to look for users who meet your criteria, and you can check your list of partner recommendations to find the perfect date amongst them. Profiles suggested by eHarmony belong to users who turn out to be great matches. That means that you have plenty of things in common and belong to the same compatibility dimension. Do you want to meet singles in Calgary, Vancouver, Ottawa or Toronto? In eHarmony you can look for daters from all over the country, but also local singles. The matching system filters the most suitable profiles considering your test results (your interests, values and beliefs), and proximity. In that way you don’t have to spend hours browsing profiles trying to find a potential partner. eHarmony Canada wants to distinguish itself from its competitors by relying on its matchmaking system. This means that finding a suitable partner for you is their responsibility. According to them, the idea is to make users spend less time filtering through profiles, but in the end you have to spend quite some time to get started after solving the personality test and creating your profile. On the other side, after trying the service, we have found that partners recommended are highly compatible. At least, the algorithm works! Once you have taken the questionnaire, you receive your personality profile. These results will then be placed on your dating profile. You can also add any information you find relevant and upload a picture. Then, the Compatibility Matching SystemTM does the job for you and selects compatible matches that you can review for free. Last but not least, eHarmony provides an email address to report any concerns you might have about a match. You can browse eHarmony blog to get all the guidance and the dating tips to make the most of your dating experience. Matchmakers usually offer a personalized service. eHarmony is not the exception. From the moment you receive partner suggestions to when you get in touch with eHarmony Customer Service, you are presented with a online dating experience tailored to your needs. 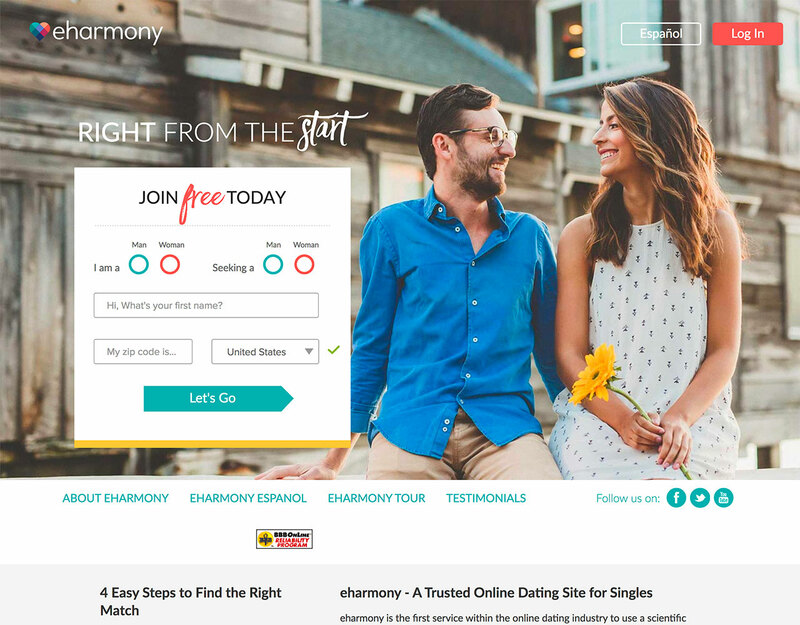 The dating site displays local personals for singles, but eHarmony is an international dating site and as such, it includes measures to guarantee your safety, privacy and discretion. They have a safety tips section in which they provide guidance and tips to avoid dating scams. Profiles are frequently monitored to ensure you have a positive dating adventure, but you can also report suspicious profiles. The user then is reviewed by the Trust & Safety team. eHarmony customer service is available to assist its users via phone and email. Its phone assistance has very good reviews, which praise they fast assistance. A live chat is at your disposal during weekdays from 8 am to 5 pm. There is also a Help Center that works like a FAQ page and which offers relevant information about how the platform works. To remove your profile from the site, just go eHarmony login and then, go to “Account Settings”. You can close your account temporarily and recover your information and history in time or you can permanently delete your profile. If you go for this last option, you won’t be able to restore your profile as it was. You would need to start from scratch in case you want to get back to the site. Alternatively, you can request your account removal by sending an email to [email protected]. 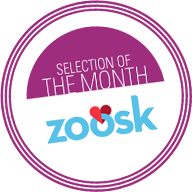 Premium memberships are renewed automatically at the end of every subscription period. If you don’t want to continue using the portal as a Premium user, go to eHarmony login and click on your avatar. Go to “Account Settings” and click on “Billing”. Then, select the option: “Cancel My Subscription”. eHarmony Canada is truly committed to helping you find the perfect match! As such it has developed powerful tools to reach this goal: the personality questionnaire, the Compatibility Matching SystemTM, safety tips and a blog full of relationship advice. You will undoubtedly find all these features to be very helpful and efficient in your search for a long-term serious relationship. Simply be prepared to complete the questionnaire as there are more than 400 questions. But it definitely is worth it as the commitment you will put on that questionnaire will be balanced with the commitment of the other users. A great way to ensure high-quality profiles and highly compatible singles. If you love matchmaking tests and aspire to connect with dozens of ambitious singles from your city, who share the same values and romantic expectations, a dating site like eHarmony is a good solution.